China is becoming an increasingly important jurisdiction for patent owners across the world. 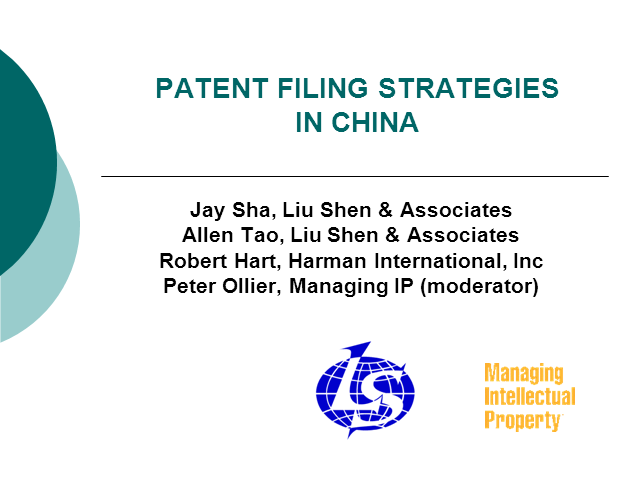 To ensure that they can protect their innovation and enforce their rights, companies need to familiarise themselves with how the China’s patent system works. Panellists in this web seminar will discuss topics such as how to comply with China’s secrecy examination requirements for inventions made in China, creating an inventor remuneration policy that will avoid litigation and ways to file the strongest patents possible in this vital emerging market. Robert Hart, Harman International, Inc.